Lake Tahoe and its real estate market have evolved immensely over the last 15 years, but the essentials never change. People come for the lake, the lifestyle, the nature, and the recreation. Those are the reasons that brought Chris Carroll to Lake Tahoe more than three decades ago. 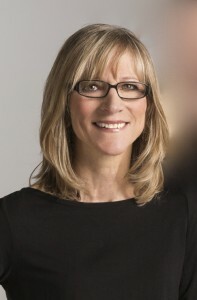 She embodies the true spirit of Tahoe, and that spirit is seen in what she delivers to her clients. Whether she’s out on a trail or selling a home, she’s dedicated, diligent and loves what she does. 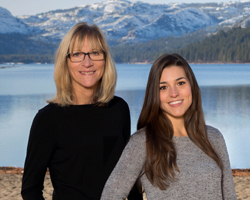 Chris’ dedication and exceptional knowledge of Tahoe, Truckee and the surrounding areas has helped her to become a top-producing agent since the beginning of her career in 1989. With great communication skills and professional follow-up methods, comfortable style, and an honest straightforward approach, she has a way of putting people at ease. Whether it is a primary residence, vacation, investment property, or even vacant land that you are looking for, potential clients will find a smooth and stress-free transaction with the help of Chris. Born and raised in the Bay Area, Chris made a life and family for herself in Lake Tahoe. She loves the outdoors, partaking in nearly every activity possible through the years with her husband Kevin. They instilled the thrill of sports and the love of the mountains in their daughter Allyson, who was a competitive snowboarder. Chris prides herself on her directness and strong relationships. A steadfast supporter of her community, she is involved with Soroptimists International, Tahoe Truckee Community Foundation, American Red Cross, Queen of Hearts founding member. She also supports the North Tahoe Girls and Boys Club and the Humane Society of Truckee-Tahoe.